(Bloomberg) -- Natixis SA just completed a miserable trading quarter for France’s largest banks, confirming a near 260-million euro hit related to Asian equity derivatives. BNP Paribas SA and Societe Generale SA also let the ball drop as a market rout hit them worse than most rivals. Known for plucking math whizzes from elite French engineering schools and honing them into seasoned traders, French banks—once known for their trading prowess—are pulling back from riskier activities, with BNP and SocGen announcing investment banking overhauls. Here’s a look at six lesser-known characters central to the French banks’ recent problems. The bank’s soft-spoken global-markets boss had problems in fixed income all year. Then came December, when BNP lost about $80 million on a flow derivative book linked to the S&P index. Osty, a 52-year-old engineer with a degree from L’Ecole Centrale de Paris and holder of the respected “203” masters in finance from Paris Dauphine—and his boss, Yann Gerardin—made their names in equity-derivative trading. Revenue in equity trading fell 70 percent in the fourth quarter, the worst among all major banks. It’s unclear if BNP’s U.S. index trading head has returned to his job in New York since the $80 million loss, which occurred on positions the bank took on the S&P 500. The majority of the losses came after he left on his Christmas break, people familiar with the matter say. The bank’s operating chief said there had been “bad choices” in managing the book, but “there is no negligence, no misbehavior at all.” Lours became BNP’s head of Americas index trading in 2013, and had previous roles in Paris and London. More of a swashbuckling salesman than a math whiz, forty-something Reille was hired in 2014 to spearhead an equity derivative push into Asia as Natixis sought to emulate the success of its larger French peers. According to his Linkedin profile, Reille used to work at SocGen, but he left in 2009 and spent several years founding dotcom businesses in Hong Kong and San Francisco, including lifestyle websites twangoo.com and eskapades.com. Neither of the sites appear to be live. Reille, who has a masters in economics from Universite Pantheon Assas (Paris II), helped lead the foray into autocallables, a structured product that Natixis’s South Korean partners would sell to local retail investors. 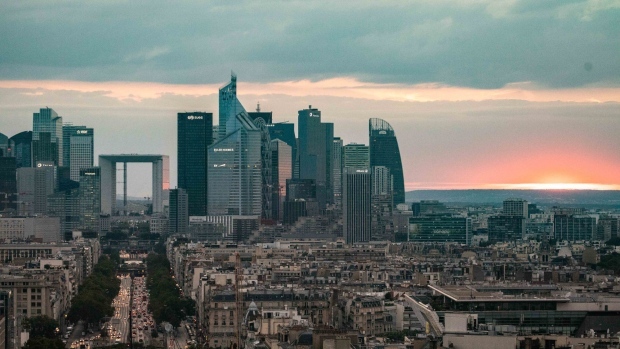 When local indexes swooned at the end of 2018, Natixis took a hit of almost $300 million related to its autocallables portfolio. Reille left Natixis last month after the bank said it would stop manufacturing the Korean notes. Before they crashed, Reille had regularly talked to trade magazines about Natixis’s growing stable of products including the “Cobra,” the “Triple Lizard” and the “Flash Lizard.” He is now said to have joined Barclays Plc. Natixis got into the Korean business in recent years and then made a statement of intent when it moved Dubois, its global head of equity derivatives flow and solution trading, to Hong Kong from Europe in 2015. Most of his counterparts at other banks are in London and New York. Though Dubois remains at the bank, he’s no longer heading equity derivatives for Asia. He holds a master’s degree in mathematics and statistics from Université Paris - Val-de-Marne (Paris XII). Unlike BNP and Natixis, SocGen didn’t report any standout losses that made headlines. But 30-year bank lifer Drouet, the head of global markets, was abruptly replaced, and SocGen is now reviewing its less profitable fixed-income and currency activities. After a master’s degree from HEC, one of France’s famed Grandes Ecoles, Drouet had stints as an equity derivatives trader and then ran derivatives trading businesses across the globe. He headed global markets for Asia-Pacific from 2012 to 2016, bulking up in Korea and winning financial licenses in Taiwan. Back in Paris since then, he wasn’t able to replicate that performance. Perhaps tellingly, he was replaced by Jean-Francois Gregoire, who also started as a derivatives trader but then worked in risk management. As part of a reboot last year, Fleury was among senior traders SocGen hired from Bank of America Corp. He moved to Paris in June to lead equities and equity derivatives after the departure of veteran Richard Quessette.